Forest Hall Guest House - Walmer Accommodation. Your hosts, James & Hilary Bolton, look forward to welcoming you to their beautiful guest house, ideal for both tourist and business travellers. Forest Hall Guest House ensures you a relaxing, friendly and secure stay in Port Elizabeth, offering peace, tranquility and birdsong. Forest Hall Guest was a runner up in 2014 and a regional winner for 2015 and 2016 for the "Best 4 Star Guest House in the Eastern Cape" category of the Lilizela Awards. 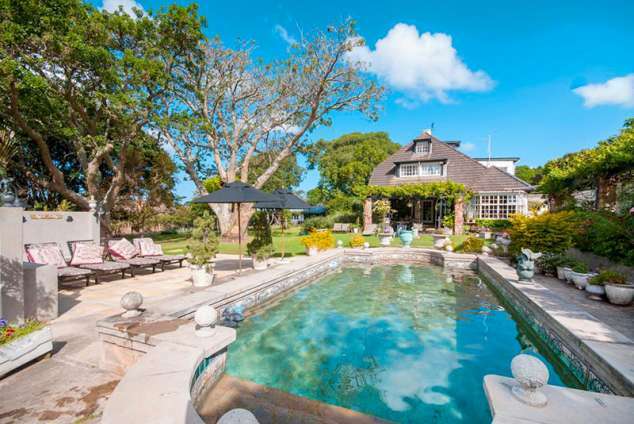 Forest Hall, an original Old English Country Style House, is situated at 84 River Road, between 9th + 10th Avenues, in the garden suburb of Walmer. It can be accessed off Heugh and Main Road, Walmer. Come out of the airport parking and turn left at the first traffic circle into 3rd Avenue, Walmer. Turn LEFT at the first set of traffic lights into Heugh Road. Continue until the 9th Avenue traffic lights. Turn RIGHT into 9th Avenue. Continue across traffic lights at Main Road until the last road off 9th on the left. Turn LEFT into River Road. There is a sign "Forest Hall" outside our gates. 589 page views since 02 Jul, 2018.